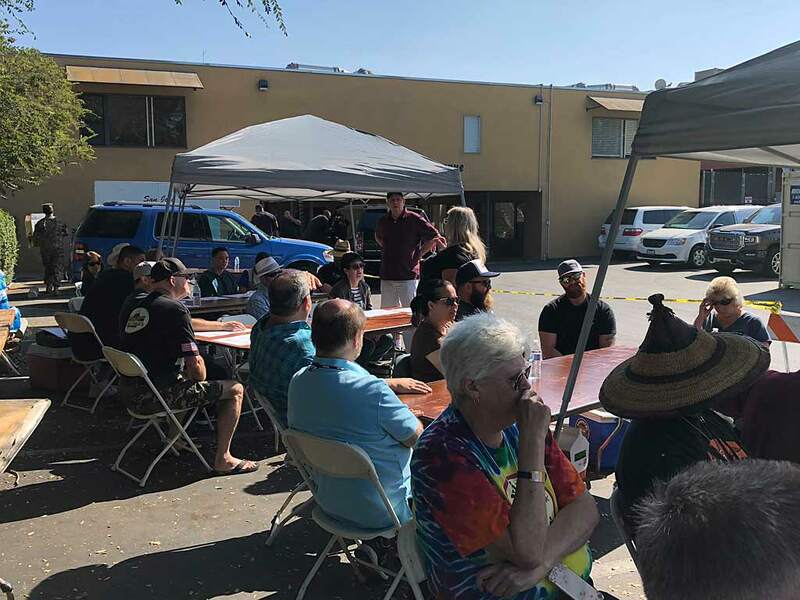 2018 was the second year for BBQ In The Glen, a non-sanctioned three-meat contest (chicken, tri-tip, and pork ribs) sponsored by the Willow Glen Business Association in San Jose, CA. 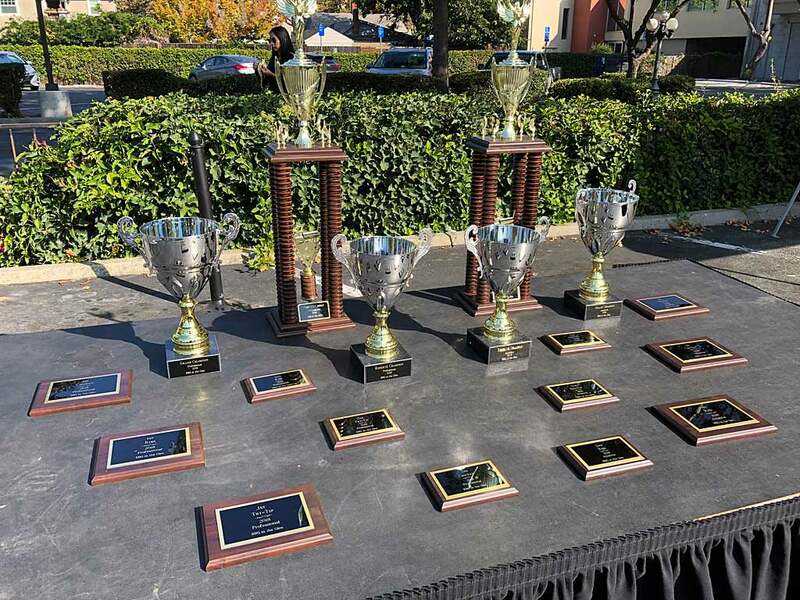 Twelve amateur and twelve professional teams participated in the contest, and all teams vended their barbecue to the public for the People's Choice Award, which in my experience is unusual for a contest. I judged the professional team entries, and I will say that having tri-tip in the mix was a nice change of pace! 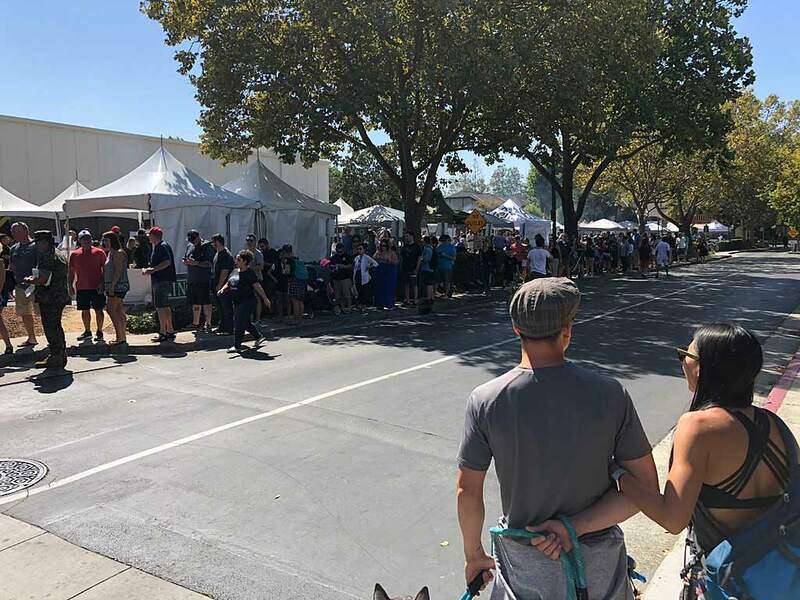 There was a great public turn-out, with a long line of people stretching down the street to enter the venue. Based on what I saw this year, I'm sure this event will be back for a third iteration in 2019. Congratulations to Pro Division Grand Champion Bone Sauce n' Harmony and Reserve Grand Champion G & Pop's BBQ, and Amateur Division Grand Champion T & A BBQ and Reserve Grand Champion Mahalo BBQ. People lined up to get into the venue. The public enjoying the barbecued offerings from 24 teams. The hardware for the winners. The WSM and GMG setup of Hot Links & Chorizo BBQ. 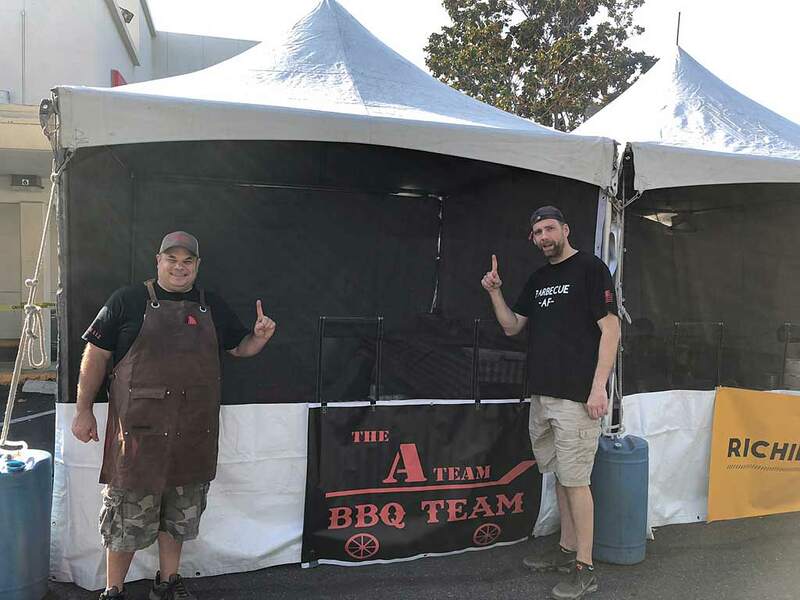 The A Team was a WSM team and convinced they were going to win the People's Choice Award for their barbecue. Judges gather for instructions from head judge Tracy Allen. My judging plate of ribs. 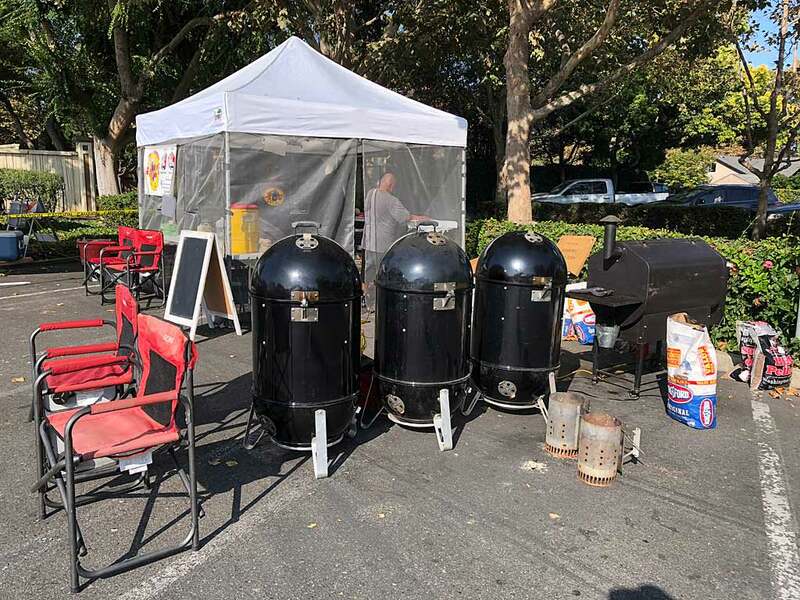 You can't photograph entries at a KCBS-sanctioned contest, but the rules are relaxed at a non-sanctioned contest like this one. Here's a quick video walk-thru of part of the venue at BBQ in the Glen in San Jose, CA. Click to watch! No sound! Based on appearance, all five of those ribs look alike to me . There better be a huge diff in flavor, or for me, that would be very hard to sort out. Would be really interesting to do side by side tastings , though. 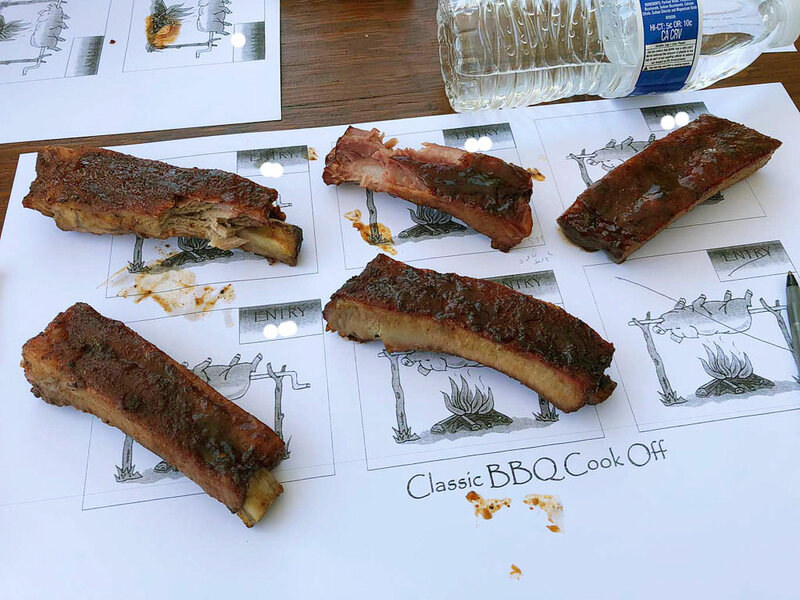 Professional teams are good at making ribs that look delicious, so they tend to score high on appearance. The differences are found in terms of taste and tenderness. For example, the top middle rib was undercooked and tough and had an unknown flavor that I disliked. Another rib in this group was tender but tasted bland. Another rib was overcooked. And another rib had excellent appearance, taste, and tenderness and got a perfect score. 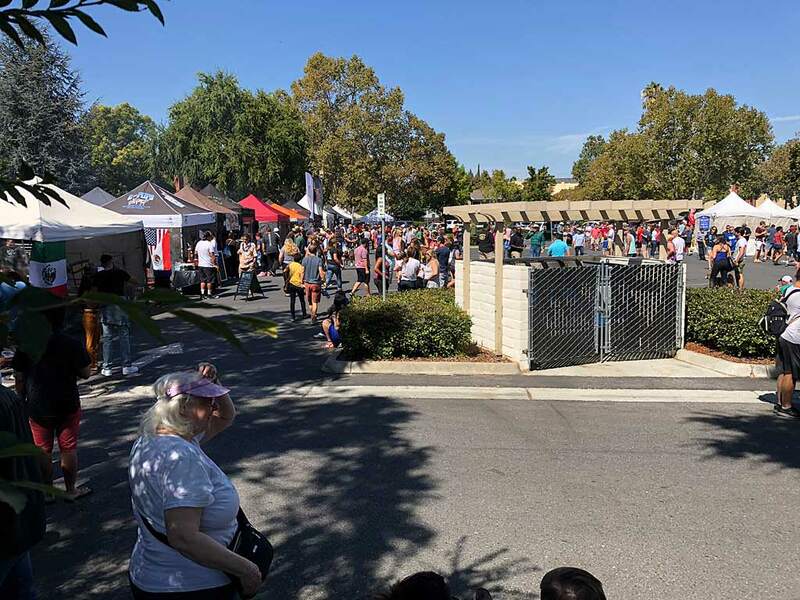 Chris, Where exactly in Willow Glen was this held? In the parking lot of Bank of America on Lincoln Ave. Thanks Chris, Can't beat the Willow Glen area and neighborhoods.